Two weeks ago, Craig Tiger, a 12-year veteran of the Phoenix PD, took his own life. He might still be with us today if the chief had found him help. Instead he was fired. Below is the story of Officer Craig Tiger who was diagnosed with PTSD during treatment for alcohol abuse after he was arrested for DUI one year following an incident where he was forced to take the life of a suspect. After he was fired for the DUI arrest his ability to continue with needed psychological counseling for diagnosed PTSD was greatly diminished. After his termination, Craig continued to struggle with the demons of depression and nightmares that continued to plague him and he ultimately took his own life 14 months later. Instead of weighing the situation based on the totality of the circumstances and seeing the DUI for what it was; a symptom of a much bigger problem, Phoenix Police Chief Daniel Garcia, knowing Craig had been medically diagnosed with PTSD, fired him. I urge you to read the story and watch the videos. We hope you will be sufficiently moved to send an email to the Phoenix officials listed at the end of this story to let them know your thoughts. I realize it’s a long list and if you only have time to write to a few people the ones at the top of the list are the most important. It is our hope, with pressure applied from law enforcement people everywhere, that the city will develop a more humane and compassionate policy for people like Craig Tiger. If we had a better system in place, combined with a Chief that understands those situations are best dealt with from a perspective of compassion rather than discipline, he might be alive today. 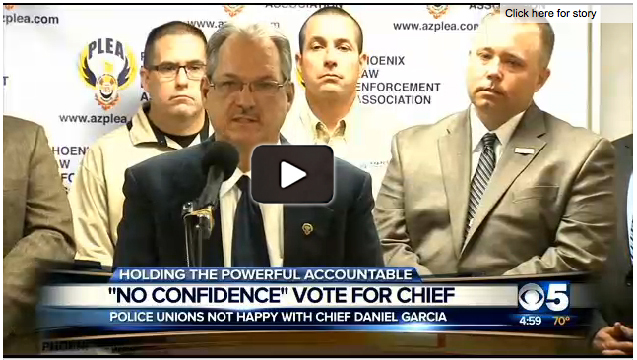 On Monday, November 17 the Phoenix Law Enforcement Association and the Phoenix Police Sergeants and Lieutenants Association held a joint press conference calling for a vote of no confidence against Chief Daniel Garcia over a long list of transgressions that has decimated the morale of the Phoenix PD. The final straw was the Chief’s inept handling of the Craig Tiger incident. If your agency has developed a sensible and humane policy for dealing with officers who have job-related PTSD, we would appreciate hearing from you. Phoenix Police Sergeants and Lieutenant’s Assn. In early November, another police officer committed suicide. He was suffering from Post Traumatic Stress Disorder after he was forced to kill a man to save the lives of others. It’s a tragedy that didn’t need to happen. The officer and his association pleaded for help, but it all fell on deaf ears. Now another officer is dead by his own hand. It didn’t have to be this way. On June 4, 2012 everything changed for Phoenix Police Officer Craig Tiger, a quiet 12-year veteran with an unblemished record whose fellow officers all say was a good cop. It was a hot summer afternoon when the call went out that a man was acting wildly in a local park threatening people with a baseball bat, including a four-year-old. Craig Tiger and his partner responded to the scene. It’s a situation law enforcement officers hope they never have to face even though they are trained to respond with lethal force when it does. Based on the suspect’s behavior and his refusal to comply with Craig and his partner’s demands to drop the bat, the officers made the split second decision that lethal force was their only option – there was only 12 to 15 feet separating the officers and the bat wielding man.. Both officers fired three shots at the same time and the suspect died at the scene. Tiger, who would readily admit that he was no stranger to alcohol and a weekend drinker, began to self-medicate by drinking on a daily basis. He struggled with sleeplessness, nightmares, depression, and images of the event he could not purge from his brain. His former wife, Rebecca Tiger, also a veteran Phoenix officer, said Craig was utterly devastated that he was forced to take a life. On the one-year anniversary of the shooting, Craig was still struggling with nightmares, flashbacks, and depression. After several drinks he decided to drive to his family’s cabin in the woods where he planned to commit suicide. But on the way he was stopped by a county sheriff’s deputy who arrested him for DUI. After his arrest Tiger was ordered to attend a 30-day inpatient treatment program for alcohol abuse. That’s where doctors discovered he was suffering from post-traumatic stress disorder. Officer Tiger was not only facing criminal charges for the DUI arrest, but a Department disciplinary hearing for driving under the influence. The hearing took place months later. Phoenix Chief Daniel Garcia met with Officer Tiger and Joe Clure, the president of the Phoenix Law Enforcement Association. During the hearing, Officer Tiger, who had 12 years of service with no prior discipline, poured his heart out to the Chief in an attempt to explain what he had been going through since the shooting in 2012. 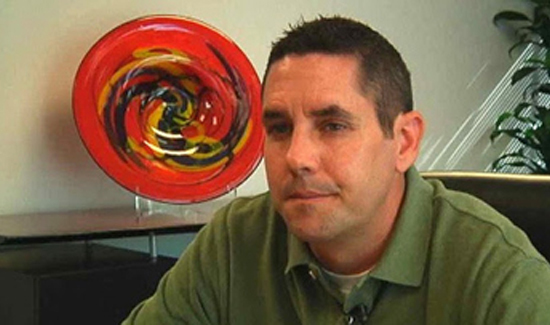 Craig begged the chief not to fire him, as did PLEA’s Joe Clure. Clure told Chief Garcia that Craig had been diagnosed with PTSD and needed help. But their pleas fell on deaf ears. The Chief refused to see that Craig had been broken by the very job he was hired to perform. Rather than help this officer get treatment, Garcia chose to fire him from the Police Department. Joe Clure, in his position as the president of the Association was furious. “I am pissed off,” Joe told reporters. Clure went on to lay the death of Tiger at Chief Garcia’s feet. He noted that the Chief opted to fire Craig rather than give him help and that is the reason he is not with us today. Joe Clure reacts to Craig Tiger’s suicide. In some older news footage Craig Tiger speaks to a reporter out about the incident where he was forced to take a man’s life and the impact it had on him. Watch this exclusive interview with Rebecca Tiger who challenged the Chief to come to her home and talk to their children. This is not the first time Chief Garcia has acted with a callous disregard for the well being of his officers. 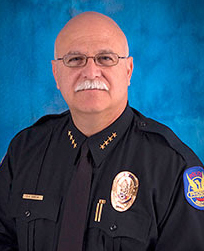 “We can not and will not tolerate this failure of leadership on the part of Chief Garcia and the Phoenix Police Dept., that expects so much of our men and women on the front lines, Joe Clure said. “When one of us needs help after suffering the aftermath of a shooting or the many other extreme situations our job constantly forces us into, we have every right to demand support and compassion from our agency. By firing Craig Tiger, Chief Garcia abandoned Craig Tiger and every other officer in the Phoenix Police Department and that is intolerable. Instead of care and compassion which is what Craig Tiger so desperately needed, the Chief’s actions exhibited nothing but cruelty.” A post on the Phoenix Law Enforcement Association’s website states in part that the decision by the Chief sent many messages: You’re no longer worthy to wear the badge. I no longer believe in you or trust you. You’re not worth saving. 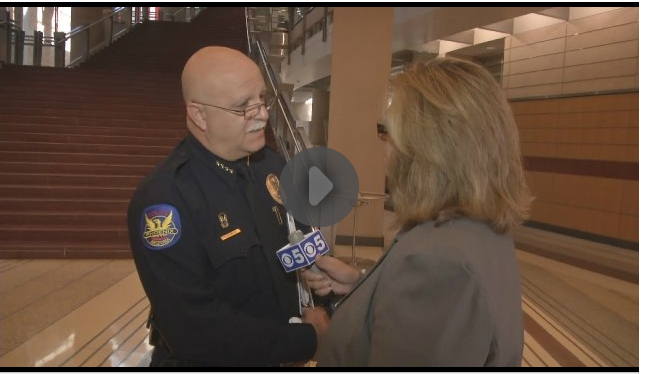 If you want to see Chief Garcia in action, watch this video. He refuses to answer any questions and is hostile to the reporter. “We can no longer discard personnel who become mentally ill by performing a difficult and stressful job. A better level of care is owed to those who serve. We must do much better in assisting the men and women in law enforcement impacted by PTSD by providing the needed treatment to assist in the recovery process and aid in their future success. The very real issue of PTSD in the ranks of the men and women who serve in law enforcement can no longer be ignored. We cannot continue business as usual by discarding police officers who are injured or broken by the job like yesterday’s trash. This letter is to inform you that we are demanding change in the way that the City and Police Department treat those of us who are suffering with PTSD. We do a good job of treating our physically wounded and now it is time to step up and do a better job of treating our psychologically wounded. We are proposing a working group backed by the city with police unions as the driving force incorporating the appropriate experts that would allow us to come up with a more realistic streamlined program to treat those diagnosed with PTSD or PTSD symptoms. Experts tell us that with proper care and treatment that most PTSD issues can be resolved allowing employees to return to workplace as productive employees. Public safety is one of those professions plagued with the “Iron Man” syndrome. As the guardians of society who are always supposed to be there for everyone in their hour of need, there is an unspoken rule that we don’t break and can never show weakness. For those who do suffer the debilitating effects that often come with the job, there is a very real fear of being stigmatized by peers, managers and the employer who, for whatever reason, view them as weak or no longer worthy of the profession. It is for this reason that many in this career field suffer in silence. Too all our brother and sisters out there, please help us honor the memory of Craig Tiger by emailing the following Phoenix officials. Let them know how you feel about the cruel treatment he suffered at the hands of his agency and the chief, Daniel Garcia. Being a former police officer, I understand the job and its stresses. In a tight knit brother and sisterhood, the motto we stick together is hugely important and must be followed 100%. It is egregious and downright appalling that when a fellow brother is crying for help, he is ousted by a leader who took the job to protect those he is in command of. Had this been a repeat of behavior after help was given then the termination would have been warranted. Children are now fatherless and and a wife a widow. The flagrant refusal to speak to Mrs. Tiger and children show how callous, coldhearted, and disgusting you are Chief. You have dishonored the uniform, the badge and the profession. I stand with everyone who is asking for the immediate termination of your job, the immediate life ban of your state certification and the yanking of your retirement. You do not deserve severance pay,nor a retirement pension at all. There is absolutely no justification for your actions and decisions in regards to this horrible tragedy. Had this been one of your family members would you be so cold hearted, and would you refuse or deny them help, and if the tables were turned I would bet you would be in the same position as Mrs. Tiger and her babies, you’d cry foul and ask for the same treatment as you so gragraciously deserve. How can you just turn your back when 1 of your own is struggling? When we have someone causing us pain & fear we have 911 when the one’s who help us are struggling it’s harder for them to get the help they need. Kicking them to the curb doesn’t help anyone. Please don’t let this happen again. In this Nation we are compassionate. We respect the rights of others. We become indignant when a proven criminals rights are violated. We support the “downtrodden”. The least of us are supported and cared for, but it seems that if you are not in a “protected” group you are expendable. If a member of a group lacking an effective political lobby has a need, problem, or shortcoming they are on their own. No empathy for the working class guy! The working class person is the engine of society yet they are the expendables!